Wander invites Swiss artist Lorenz Olivier Schmid to develop Common Ground; an exchange project to produce both conversation and compost by the artist and his audience together. Lorenz is a Swiss artist based in Luzern and involved with the Produzentengalerie Alpineum. 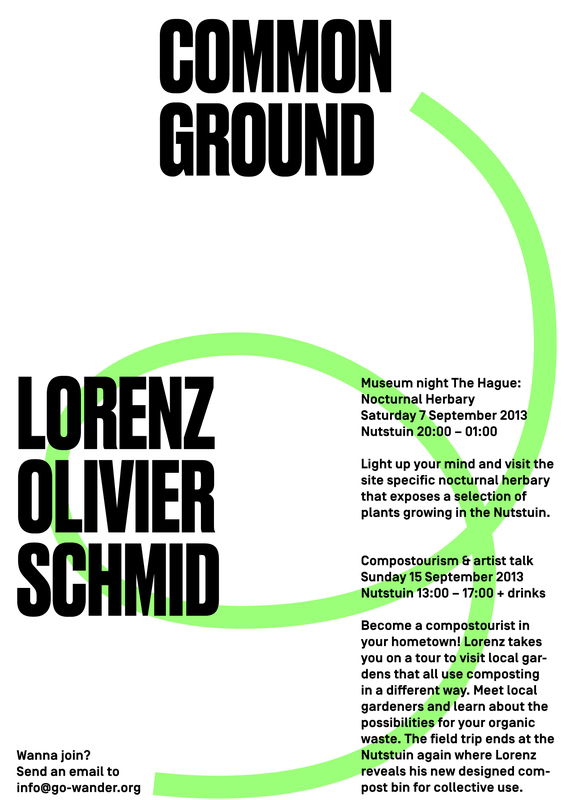 Wander invited Lorenz Olivier Schmid to develop Common Ground: an exchange project to produce both conversation and compost by the artist and his audience together.